It’s no secret that our Southern neighbours have been crushing on the Great White North lately. Earlier this year The New York Times declared Canada suddenly hip. Fashion bible Vogue also expressed praise for Canada by calling Toronto a foodie hotspot and that Victoria needs to be at the top of everyone’s weekend getaway bucket list. 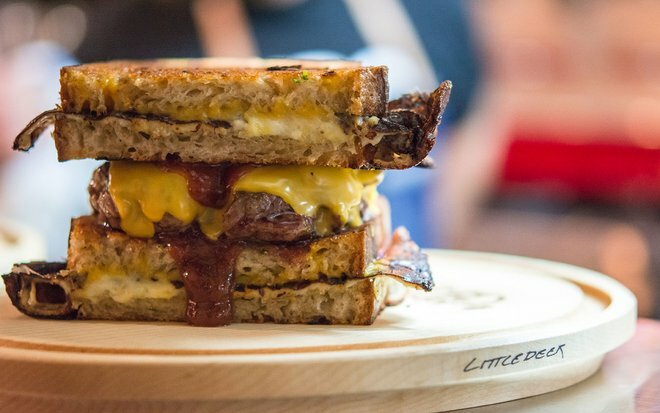 And now the high fashion publication is praising another Canadian city by acknowledging Montreal’s eclectic dining, which is far more complex than the traditional French food most travellers assume of the city. As author Marissa Miller points out, it’s in Montreal where you can find cobblestone streets filled with restaurants featuring everything from Cambodian to Polish, Ethiopian, and Afghani cuisine. Montreal has residents hailing from every corner of the world with a culinary landscape as diverse as its people. So the next time you’re visiting the City of Saints, skip the poutine and smoked meat sandwich. While there’s an extensive list of must-visit eateries in Montreal, Vogue’s Marissa Miller has narrowed down a select few. Here are Vogue’s picks for the “true” Montreal dining experience. 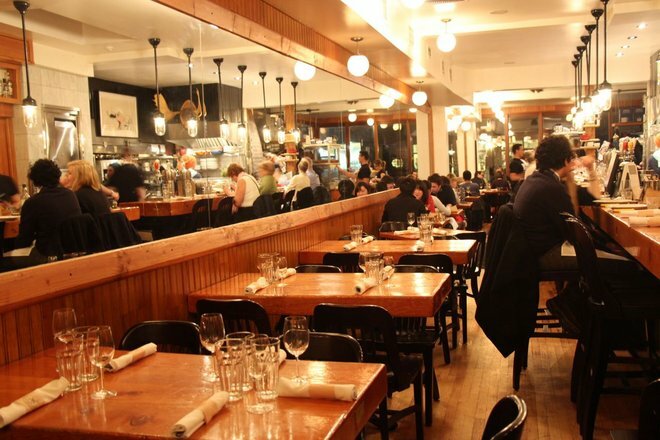 If you’re looking for the quintessential Québécois dining experience, look no further than Au Pied de Cochon. Chef Martin Picard’s hearty menu is a foodie’s dream come true and features rich food like pork, foie gras poutine fried in rendered duck fat, and stuffed pied de cochon with foie gras (roasted pig foot) – the star of the menu. Finish your meal off with one of the decadent desserts like the crème brûlée and milkshake with PDC maple toffee. Don’t let this vegan restaurant fool you. Chef Lily Sirikittikul knows how to embody the tastes and textures of duck, beef, fish, chicken, and seafood in variations of tofu and seitan – you’ll barely notice that you’re not eating the real thing. The menu features mock versions of all of your favourite Thai dishes by using faux ‘shrimp’, ‘beef’, and ‘chicken’. Each dish is exquisitely seasoned, beautifully presented, and exceptionally creative. You can order several of the traditional Thai dishes for the whole gang, or opt for the table d’hôte if you don’t feel like sharing. Any Canadian will tell you Montreal’s bagels are a must. Which is why a visit to Montreal cannot be complete without a visit to one of these two fine establishments. Montreal’s bagels are much smaller, denser, and sweeter than the competing New York bagel. Fairmount and St-Viateur Bagels are perfect when they’re piping hot and covered with cream cheese, lox, onions, tomatoes, and capers. Bon appétit! 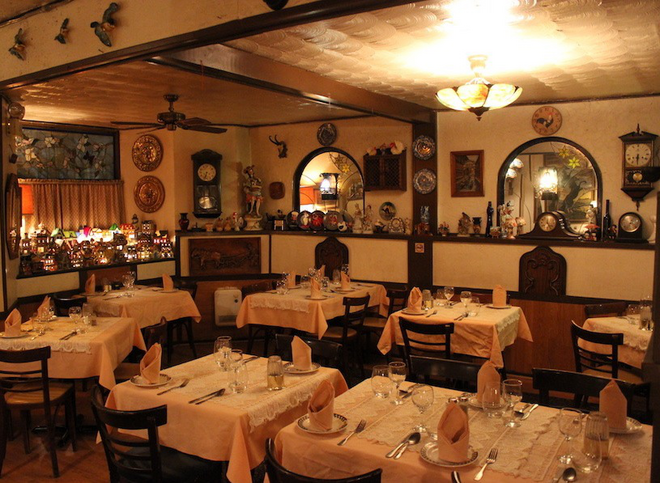 Tucked away in a little corner of Fort and de Maisonneuve is this very quaint and cozy Italian restaurant. You’ll feel worlds away in this hidden gem as the decor is a mishmash of old antiques, mirrors, paintings and a fabulous wall of porcelain houses. The atmosphere is warm and inviting, a reflection of expert European chef Ennio, whose culinary expertise will fulfil your expectations. Ennio hand-makes all of the traditional Italian fare and proudly delivers it to your table. The service is slow, but the point is to linger over the immaculate dishes and a bottle of wine, which you can bring from home. Notre-Boeuf-de-Grâce came to life when founder Jonathan Dresner saw a lack of classic Quebec-style diners in the area. This community hotspot prides itself on using only the freshest locally sourced ingredients and goes the extra mile by making its own homemade sauces, home fries, house sodas, house beer, and handcrafted cocktails. Make sure to stop by for brunch and try the mouth-watering challah French toast hailing from Montreal’s esteemed Snowdon Bakery, which is topped with caramelized peaches and optional corn flake batter-fried chicken.